The ring in the photos is sold. 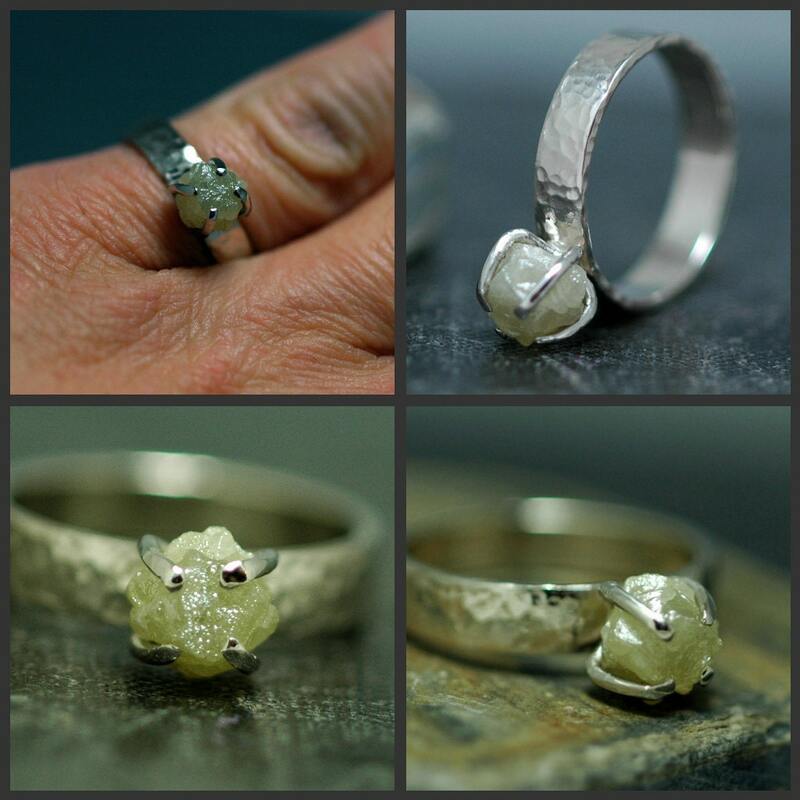 The photos are used to give an idea of how I construct these rings. This listing is for a 18k gold ring- 14k and 22k are also available. Please get in touch for pricing. 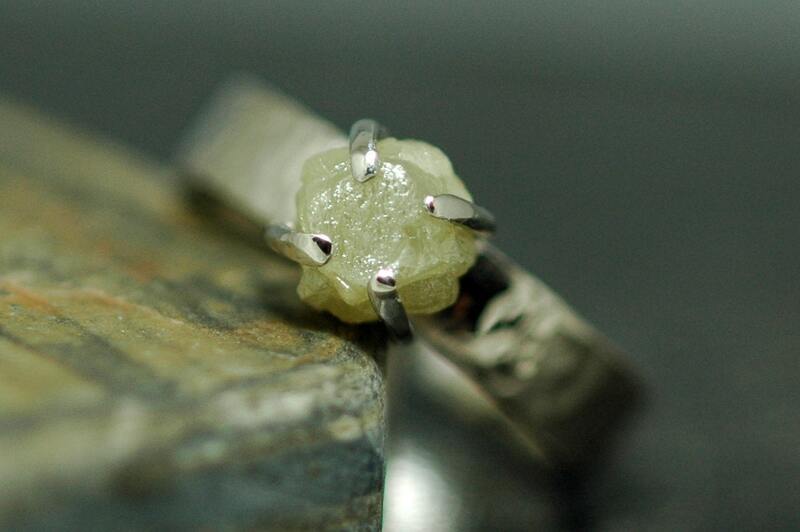 This listing is for a custom-made ring in solid, fully recycled gold, using one of my four large cube diamonds. You may choose rose, yellow, or white gold. Please note that I never rhodium plate my white gold- in my view, this is an unattractive and high-maintenance finish. I much prefer the warm tone of unplated white gold. 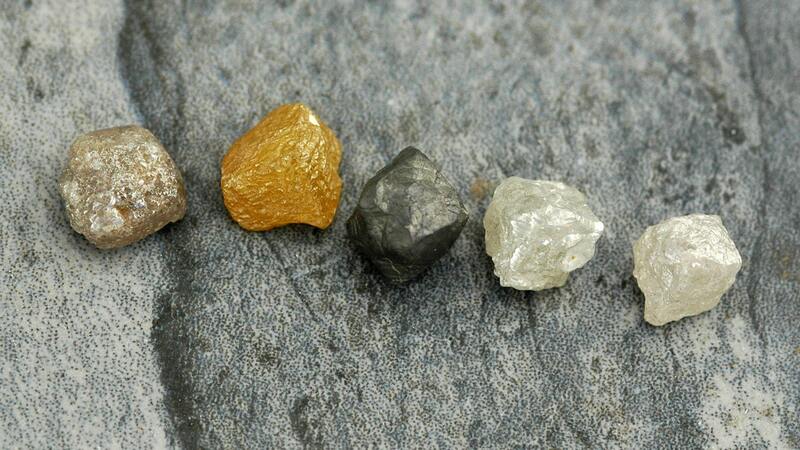 Each of the diamonds is conflict-free, and is naturally coloured. Their colour and raw form are as they formed in nature. 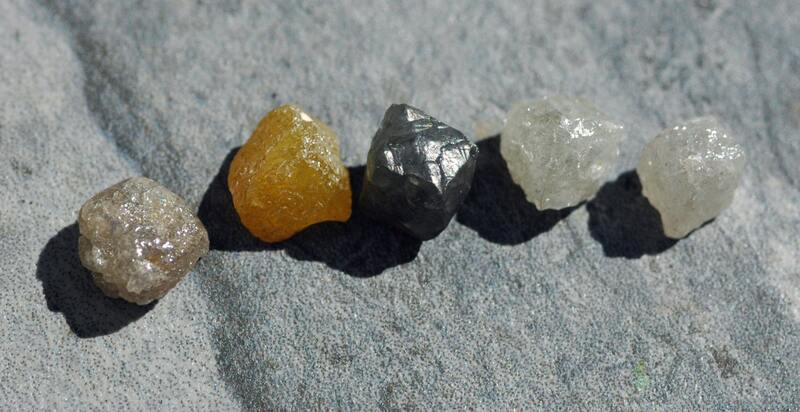 I have shown the diamonds in filtered sunlight, and in strong, unfiltered sunlight. Any finish is possible on this made-to-order piece, including high-shine, matte, or hammered. 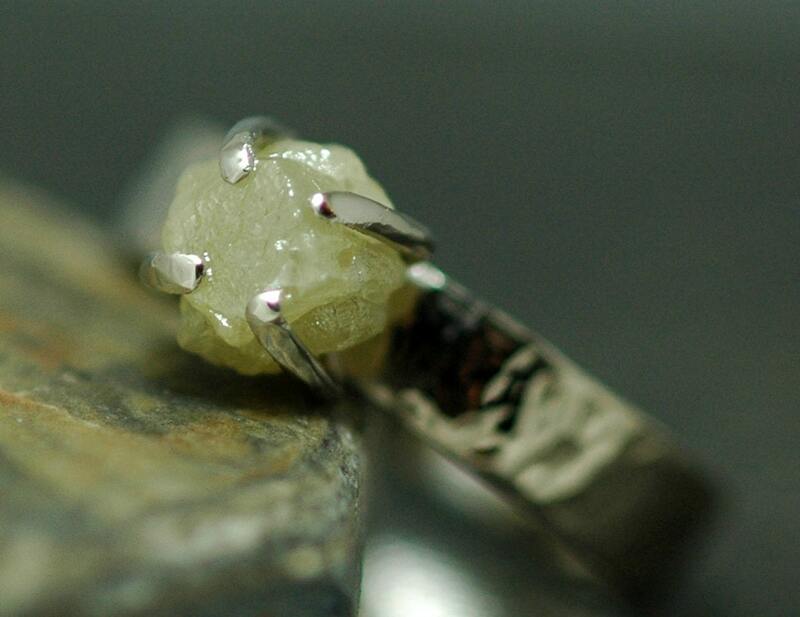 I can set your favourite diamond in either prongs (as shown) or a bezel. The band is 4mm wide. Please contact me if you wish your diamond set on a wider, or narrower, band. Matching wedding bands in any width are also available.